Rupi Kuar delivered a powerful and delightful performance last night at Pomona College. 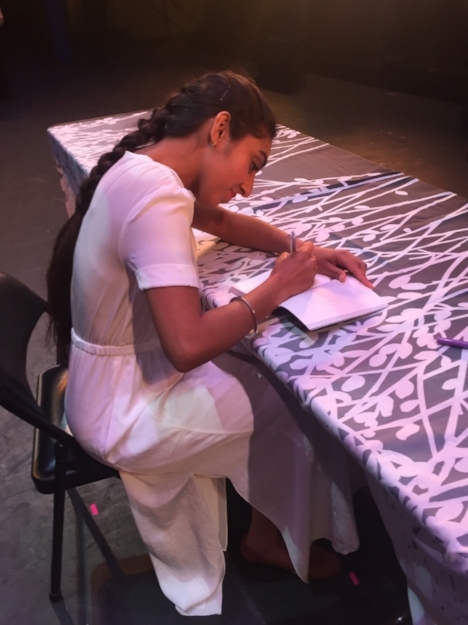 The Toronto based writer spoke to an attentive student body and faculty about being a woman of color, trauma, and healing. Ms. Kaur read pieces from her latest milk and honey which is available at the Huntley Bookstore located on the college campus.